HomeWelcome To The Financial Samurai Forum (FSF)! I’m impressed with the continued high quality of discourse over the years. Many of you have said that you’ve learned so much from other readers due to their different perspectives. So have I. It’s important that all of us find our blind spots on our path to financial freedom. The FSF has actually been up for a couple months now after I invited subscribers of my private newsletter to join. I’ve successfully figured out how to keep spammers away, which was one of my main concerns before launch. I’ve decided to concentrate on the following topics below. Financial Advice From The Community / Reader Profiles – Need advice or like to help others? Share your financial situation, ask questions, and get feedback from other members. I receive e-mail questions from readers all the time, but can’t answer them all. By asking the FS community and sharing your situation, your hit rate will be much higher. Financial Independence Retire Early (FIRE) – Do you hope to retire early or have the freedom to do more meaningful work without having to worry so much about money? Already living the FIRE lifestyle? Ask questions and discuss your favorite strategies, experiences, the pros and cons, and more right here. Family Finances – Finances get a lot more complicated once kids and/or aging parents are involved. Let’s try and figure everything out from daycare to college savings, grade school, elder care, estate planning, insurance and more. Taxes – Taxes are our largest ongoing financial liability. Therefore, we need to do our best to understand the latest tax laws and use them to our advantage. Managing And Investing In Physical Real Estate – Discuss experiences with investing and managing physical real estate. Talk about market trends, property selection, ups/downs of being a landlord, property management, tenancy issues and more. Real Estate Crowdfunding – Examine and share research on the best real estate crowdfunding platforms, talk about investment strategies, regions, deals, and trends. Stocks And Index Funds – Talk about stock ideas, trading, market trends, your favorite index funds, digital wealth managers, and other equities topics. Fixed Income Focused – Explore topics regarding muni bonds, treasury bonds, corporate bonds, convertible bonds, interest rate outlook, macroeconomic trends, the Fed, and more. Alternative Investing And Derivatives – Discuss alternative investments and derivatives such as private equity, venture debt, venture capital, angel investing, P2P, options, swaps, forwards, futures, royalty investing, and more. Career Growth And Higher Education – Ask and answer questions on topics such as raises, promotions, career changes, going to grad school, getting a graduate degree, taking a sabbatical and others. Entrepreneurship/ Side Hustles – Share small business and self-employment stories, chat about the highs/lows of entrepreneurship, discuss side hustles and other moonlighting projects here. Engineering Your Layoff – Don’t quit your job when you can negotiate a severance. Discuss strategies for negotiating a severance and share severance negotiation success stories. 2. You will need to read the Forum Terms Of Service on the registration page, scroll to the bottom, and click the accept button. 3. Next, you will be asked to select a Username. It must be unique and can not be changed after your registration is complete. Your username will be publicly visible, thus please do not use your email address as your Username. If someone already has the Username you input, you will see a yellow caution symbol next to the Username field. Once you have chosen a unique Username, a green checkmark will appear. 4. Enter your email address and a strong, secure password. Please use a combination of lower case letters, upper case letters, numbers and symbols. 5. Answer the verification question and prove you are not a spammer. All the answers can be found on the blog’s About page. If you haven’t read it yet, please do! 6. Once you submit your registration, you will receive 1 of 2 welcome emails and will be placed into the queue for administrative review. You will not be able to login until your request for registration has been approved. We do not want spammers in the forums, and this process helps keep them out. 8. Login and join the fun! It’s going to take time to build the Financial Samurai Forum community, but I’m confident after six months we will create a great place to hang out, have fun, and learn. During non-post days, I’ll be exploring the FSF to see what’s going on and interacting with community members. So far I’ve already written about 200 forum posts, with many more hundreds to come. Whenever I do something, I plan to stick it out for the long term. With my new goal of keeping Financial Samurai going until at least 2029, the FSF is one way to keep the magic alive. The post Welcome To The Financial Samurai Forum (FSF)! 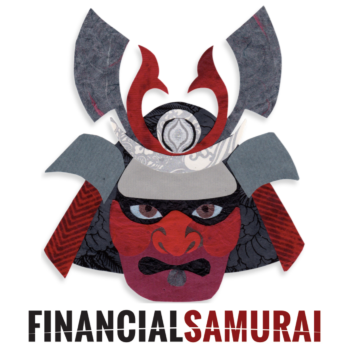 appeared first on Financial Samurai.